175 bhp, 2,996 cc overhead-cam fuel-injected inline six-cylinder engine, four-speed manual transmission, independent front suspension with coil springs, rear swing axles with coil springs, and four-wheel hydraulic drum brakes. Wheelbase: 114.25 in. 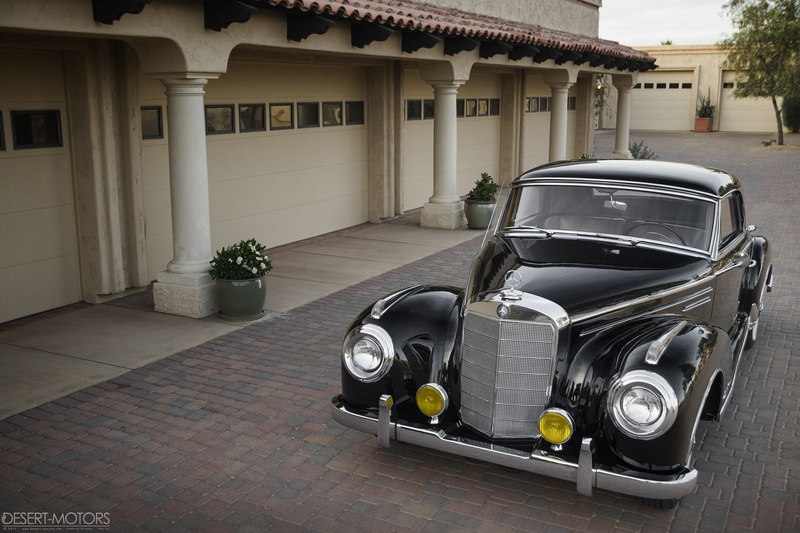 Bridging the gap between the Classic and Modern Eras, the Mercedes-Benz 300 was launched in 1952 with an unbeatable combination of modern engineering and performance and elegant Old World build quality. Built to uncompromising standards and employing the latest materials and technologies to achieve maximum power and minimum weight, each car was lavished with beautiful finishes and woodwork, and it could travel at triple digit speeds with a full load of cosseted occupants and their luggage. Far more scarce than the standard 300 was the 300S model, introduced in 1953 and boasting a shortened wheelbase, a more powerful multi-carburetor engine, and two-door coachwork in both open and closed styles. Rarer still is the “ultimate” 300, the 300Sc, which debuted in 1955. The 300Sc packed a detuned 300SL engine with Bosch mechanical fuel injection, good for a factory-rated 175 horsepower (the actual figure was nearer 200), as well as new “low-pivot” swing axle rear suspension, also developed and perfected on the 300SL. The combination of the 300’s advanced oval tubular chassis, suspension, and powerful engine produced a powerful grand tourer, ideal for long-distance travel through Europe. It was the true spiritual successor to the 500K and 540K, which are now so fiercely prized by enthusiasts. 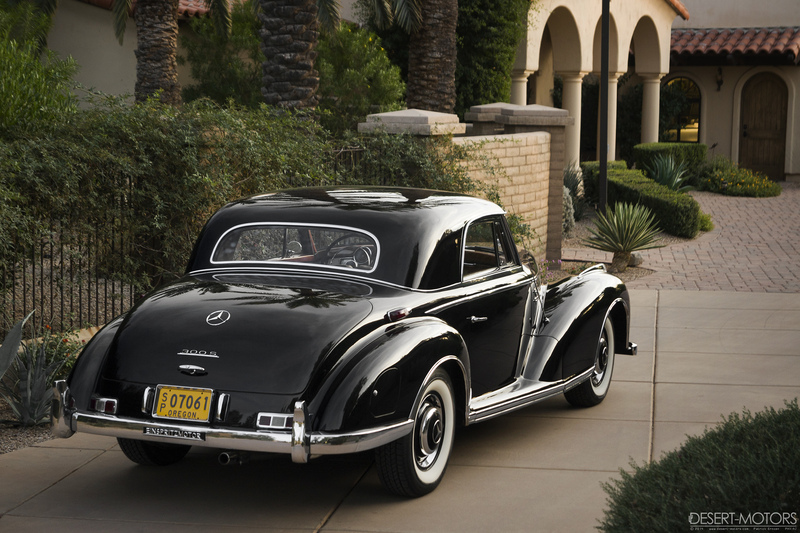 Only 200 Sc examples were produced, of which 98 were coupes, making them the most desirable luxury Mercedes of the 1950s. Clark Gable even drove a 300Sc home at night from the studio—that was high praise, indeed, from the man who had once driven Packard Twelves and Duesenbergs. According to its Mercedes-Benz data card, the coupe offered here was originally delivered to New York and equipped with a radio, which is still installed today. In fact, by inspection of its numbers, it is equipped with the original engine. Acquired by the present owner in 1998, its older restoration has been well-maintained since, and it still remains in very nice condition, inside and out, with all of its original features well-preserved. 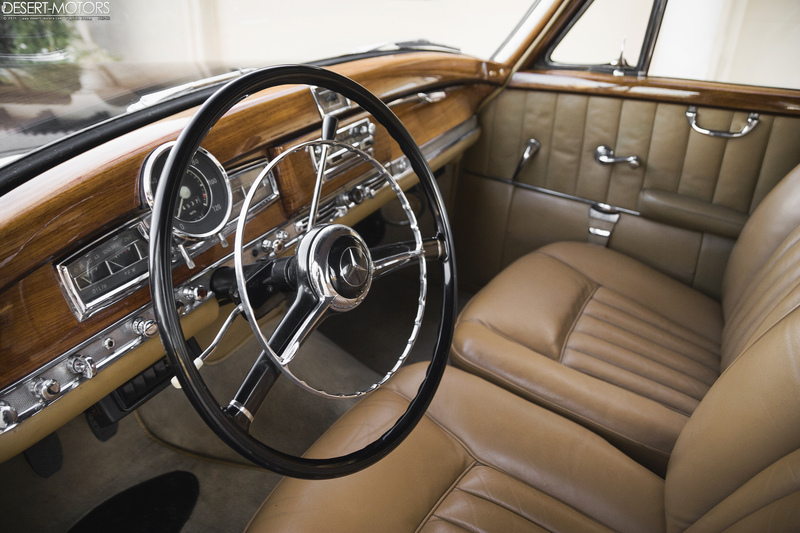 The paint is still deep, the interior still fresh, and the solid wood dashboard is impressive in its sheer heft and shine. This scarce 300Sc would be an ideal car for sweeping down Sunset Boulevard—retracing Gable’s tire marks—or simply to and from the golf course. Decades after it was built, it remains a big, cushy, comfortable means of high-speed transport for four very lucky people. Wunderbar!